This entry was posted on March 5, 2013 by Paul. WorkRite is set to grow its already extensive range of e-learning and assessment courses throughout 2013. Several new programs are currently in development with three – Environmental Awareness, Asbestos Awareness and Equality & Diversity – expected to be online and operational by the summer. They will join the 11 existing WorkRite courses led by the flagship AssessRite program – the world’s leading online learning and assessment package for people working with display screen equipment. WorkRite national sales manager Ryan Church said: “We are constantly talking to our customers to find out if there are any new subjects they would like us to cover in order for them to fulfil all their health and safety training obligations. 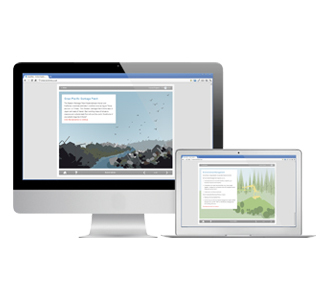 As well as the usual stunning graphics and interactive elements designed to help maintain attention, retain information and improve learning, the new courses will also be supported by WorkRite’s unique online management system which captures essential information for companies’ health and safety teams and provides them with a fully-auditable trail of actions required or taken.